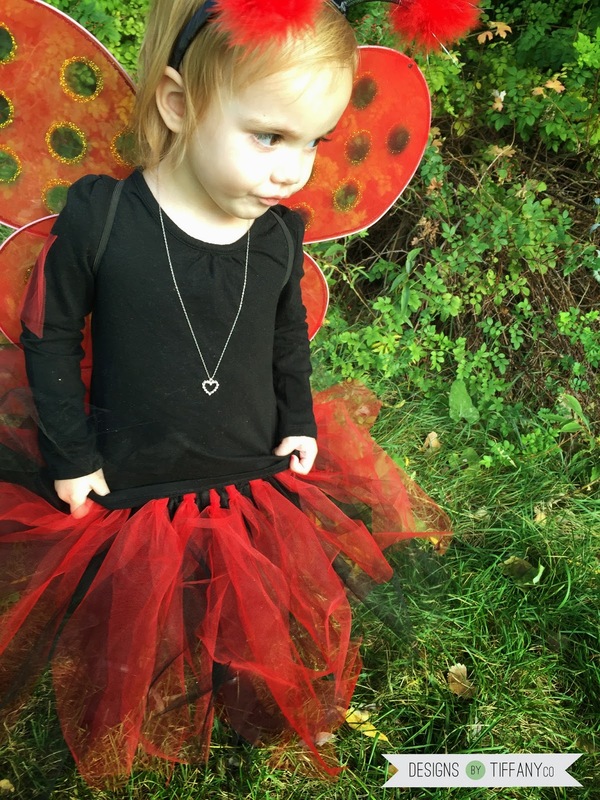 Halloween is approaching FAST! I can’t believe it’s only next week! And I’m sure you all have festivities going on this weekend, which means, if you haven’t already gotten together costumes, you’ll need something quick! 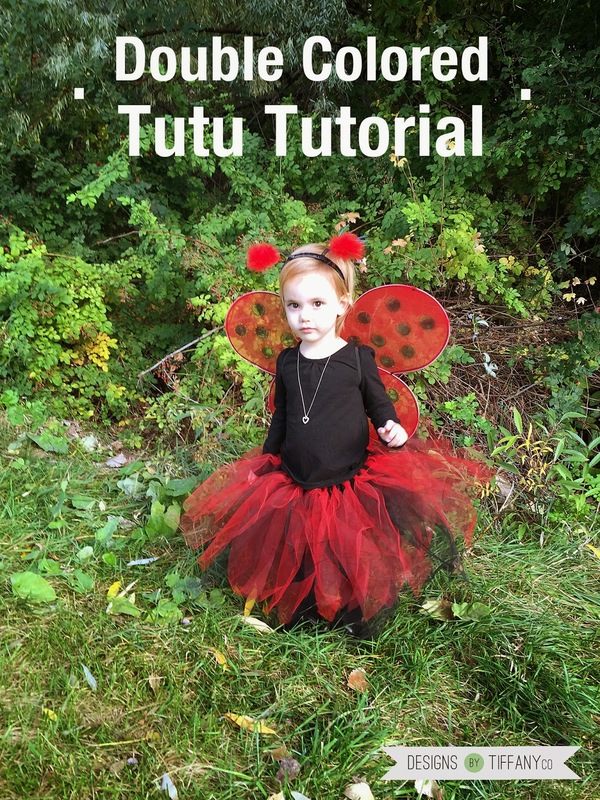 Of course, just buying something at the store would be super easy, but if what you’re looking for is out of stock or just not exactly what you’re wanting, you can quickly make this tutu skirt to top off any little girl’s costume. I’ve seen these go with so many different characters like: witches, princesses, pirates, super heros… the possibilities are endless. 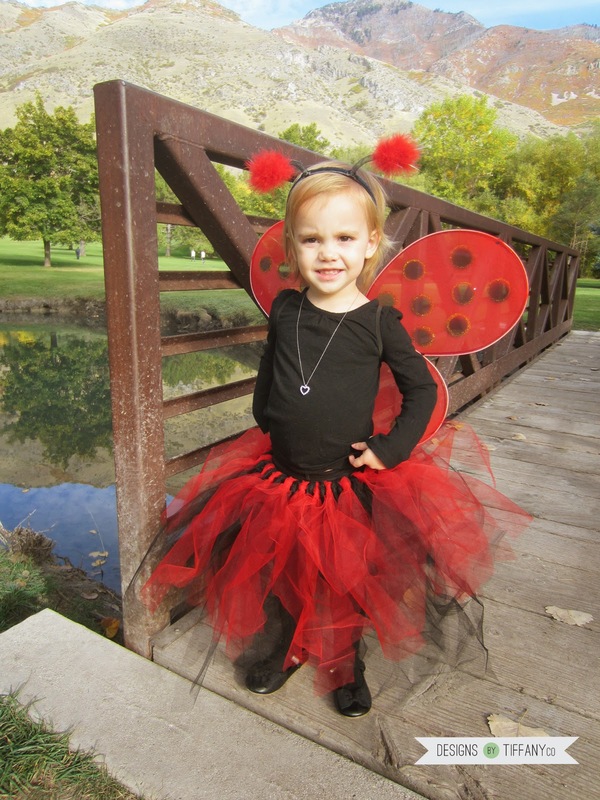 Here I made one for my little girl to spruce up her ladybug costume. I couldn’t choose to make the skirt all black or all red, so I decided to do both! I also wanted to try something a little different and do it layered. 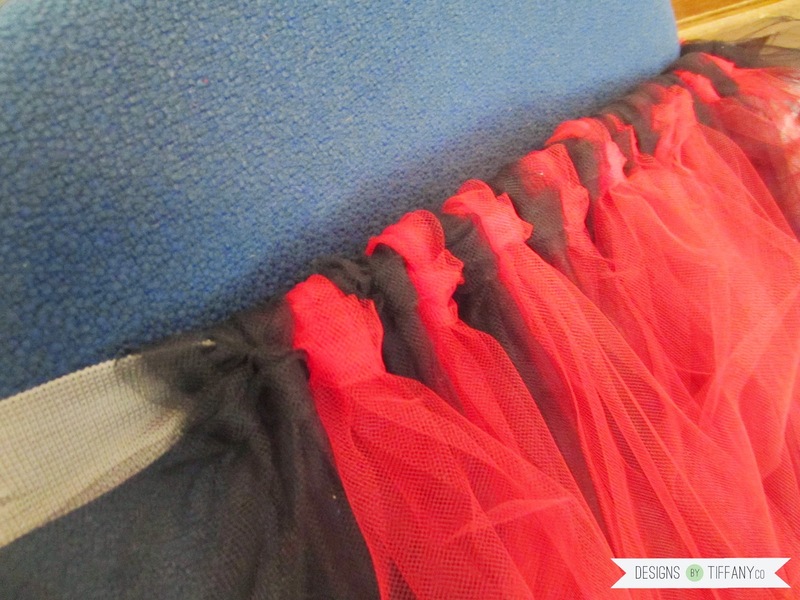 Most tutu’s I’ve seen have different colors mixed in, but this one is unique in the way that the black is on the bottom and is longer and the red is layered on top and is shorter. 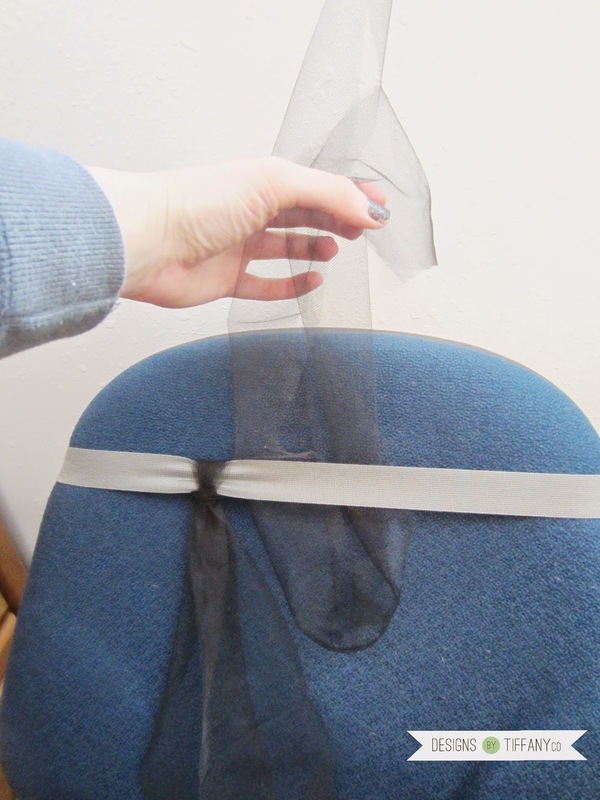 Double the tulle up so one side is folded and the other is the raw edge. Measure your child’s legs to see how long it should be then add 2 inches to be safe. Cut. 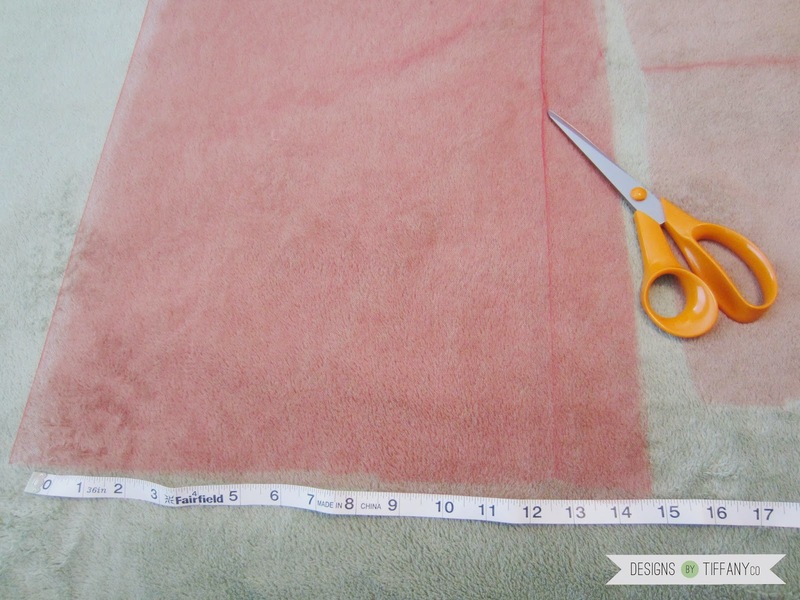 Then cut that long strip into little 2 inch wide strips. It doesn’t need to be perfect – just eyeball it. 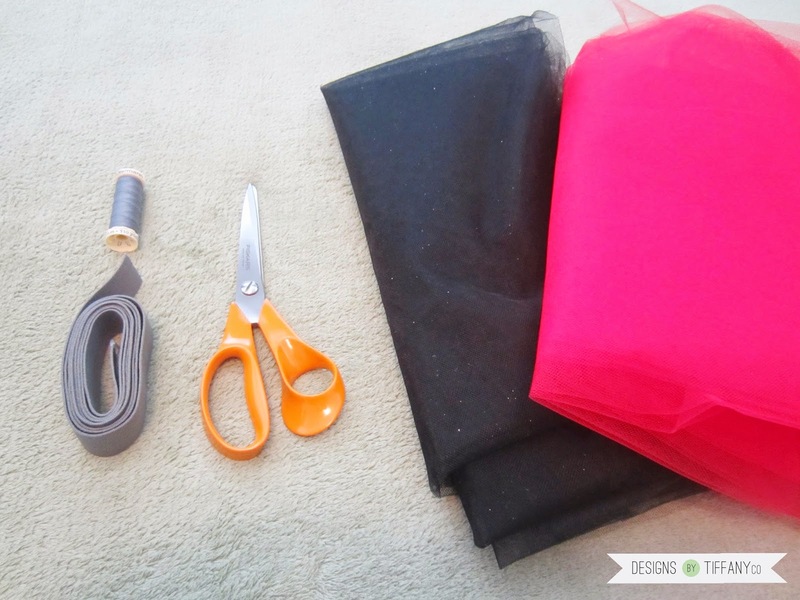 Do the same thing with the other color, only shorten it by a few inches so it can be the shorter front layer. 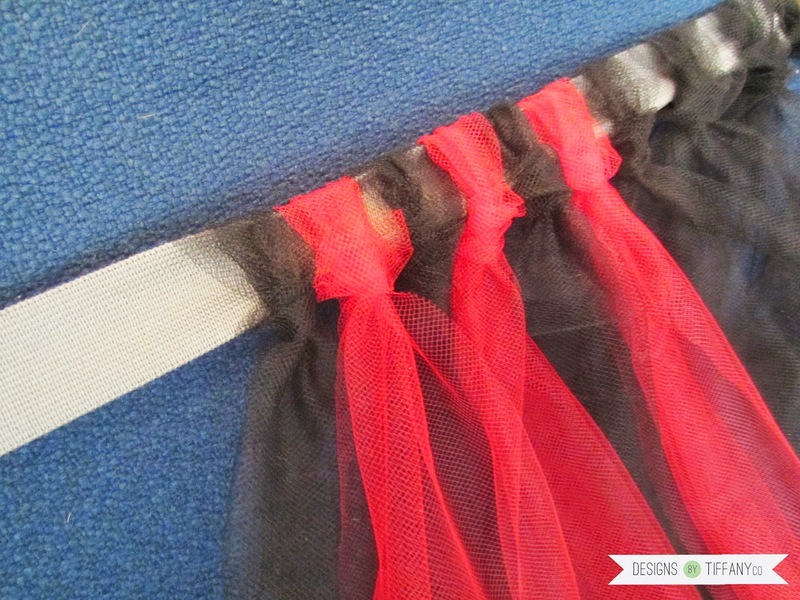 Now that you have your strips, it’s time to make them into a tutu! 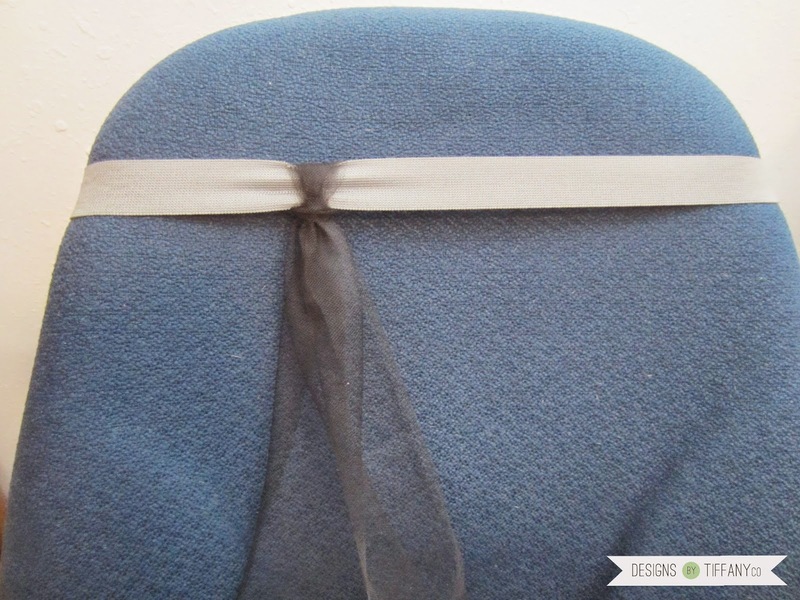 Wrap the elastic around something so you have your hands free; I used the back of a chair. 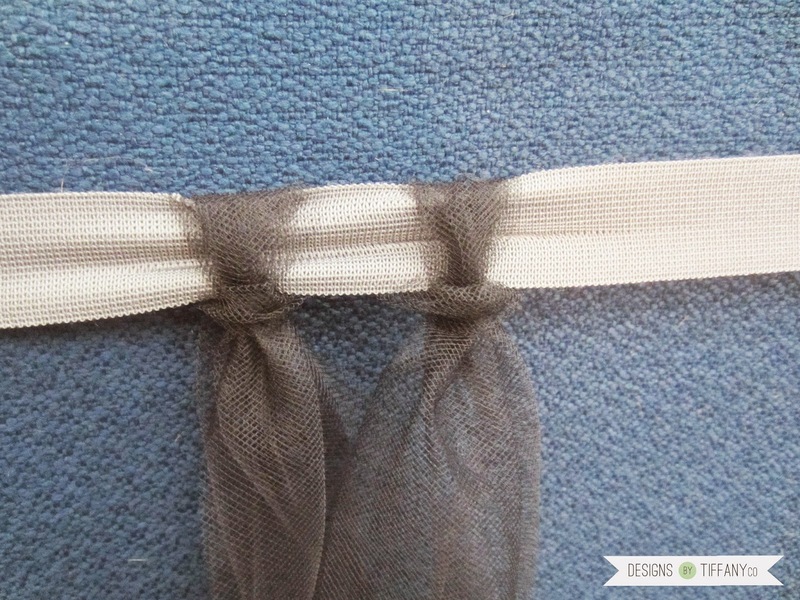 Grab one strip and keep it folded in half. 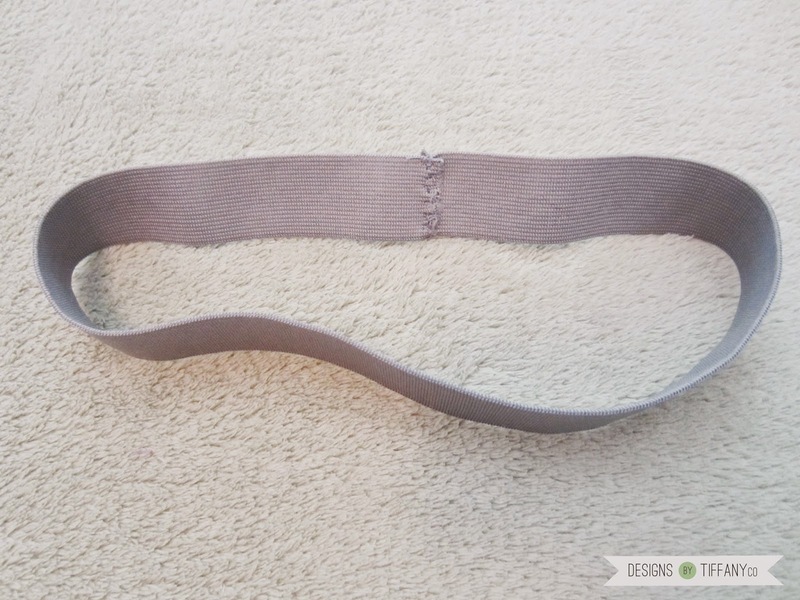 Pull it down, folded side first, and form a loop. 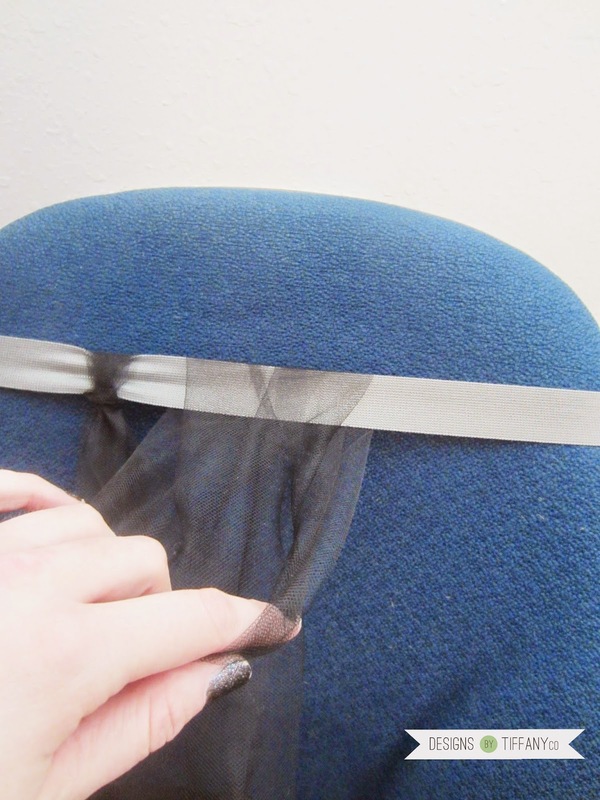 Dip the raw ends into the loop and tighten to form a knot. Keep making knots. Add in the other layer by doing it every other one. I even added more of the bottom color to add more volume, so you can do: bottom layer 2, upper layer 1 and repeat that pattern until it’s at the fullness and volume you want it to be. And there you have it! It didn’t take more than an hour to do. 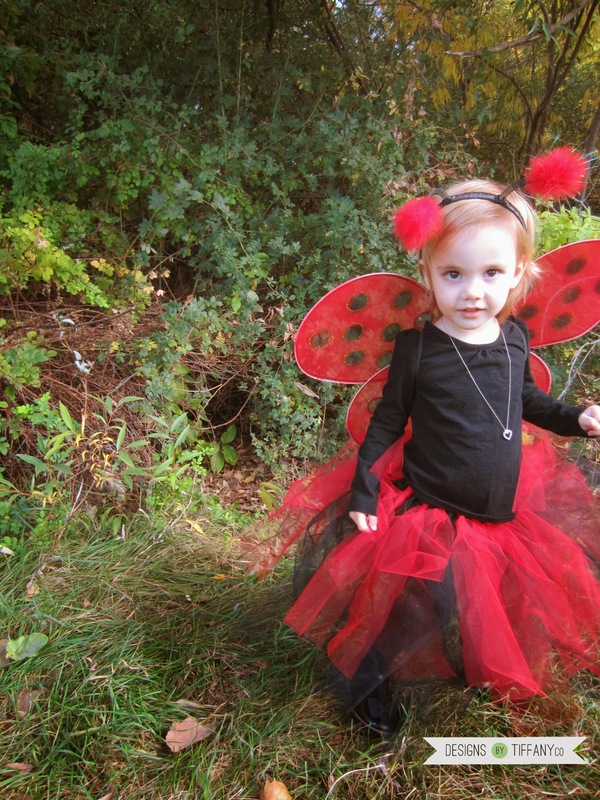 As for the rest of her ladybug ensemble, I bought the wings and antennas on Amazon (currently out of stock). Then she just wore a black shirt, tights, and shoes. She is so adorable, I can't even stand it!